cuSUNDAYS is for young people aged 8-teens. 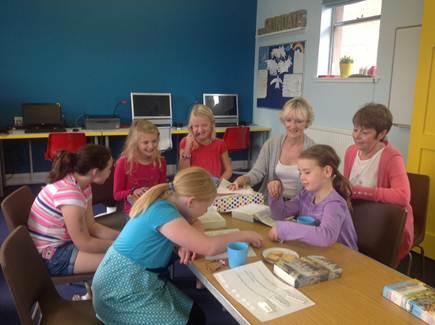 Each week they are encouraged to take part in prayer, bible reading and craft. The young people are encouraged to read from the Hands On Youth Bible (NLT) and are currently working from a Scripture Union resource 'The Big Bible Challenge'.